Two powerful doctor bodies, the Independent Practitioner Associations' Foundation (IPAF), and the SA Private Practitioners Foundation (SAPPF), are pitching in to help government clean up the primary health care delivery mess. Both agree with national health minister, Dr Aaron Motsoaledi, that a complete 're-engineering' of the dysfunctional public health care sector is needed for any variation of National Health Insurance (NHI) to succeed. However, Motsoaledi and his cabinet colleagues also believe that the private sector cannot be left to 'wayward' profit-driven market forces and is as much in need of re-engineering. In his budget speech to parliament on 31 May, the health minister said that under the present system, whether public or private, 'no national health insurance can ever survive'. He typified the system as 'unsustainable, destructive, extremely costly and hospi-centric or curative'. Incremental implementation of the NHI, as currently proposed, is due to begin next year. Motsoaledi appealed for patience as the health care sector and NHI policy were concurrently worked on. He identified two groups of people: those who legitimately hoped the NHI would ease their everyday health care hardships and those 'consumed by self-interest and greed that would shame even the devil'. He said the latter was waiting for any development and would do 'anything in their power to stop the NHI dead in its tracks'. In this policy hiatus, the most dramatic new development is the shift towards fixing basic delivery systems via public/private partnerships. 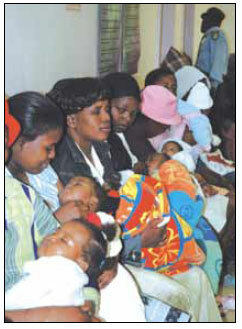 Motsoaledi confirmed what the SAPPF had earlier told Izindaba, namely that the public sector would be re-worked according to three main streams, including a district-based model in which a team of five specialists or clinicians would be deployed to head each of the 53 districts, focusing initially on maternal and child mortality. 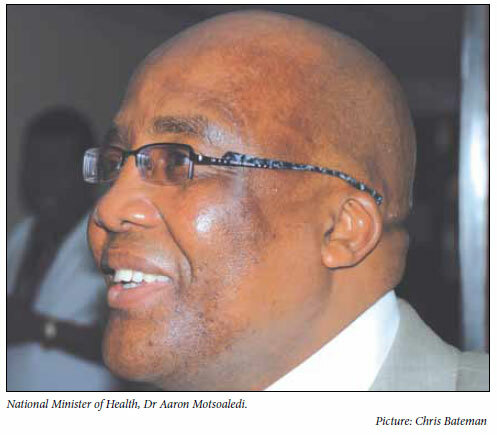 Last month Motsoaledi met with several private specialist bodies under the banner of the SAPPF, requesting that they staff a system that bears striking similarities to the scrapped district surgeon system. Simultaneously IPAF is drawing up a GP quality accreditation scheme that it claims will give willing participants the edge in terms of negotiating decent NHI tariffs via improved quality of care and savings on downstream costs. Chris Archer, Chairperson of the SAPPF, said Motsoaledi and his Director General, Precious Matsoso, held a meeting with SAPPF's private sector leadership in gynaecology, paediatrics and family medicine early in May. He said Motsoaledi told them that 'as things stand', the NHI was unlikely, not least because of financial constraints, though Shisana denied this, telling Izindaba she was 'unaware of anything being put on ice'. Motsoaledi told the specialists that inroads urgently needed to be made on the 'out of control' maternal and infant mortality rates. Motsoaledi told parliament he wanted the school programme in place 'before the end of this calendar year'. He said three months ago he and his cabinet colleagues in Basic Education and Social Development set up a task team that had been working 'around the clock' ever since. Implementation would begin in the poorest schools that were the greatest distance from health centres. Archer added: 'An awful lot of things need doing before an NHI happens - for a start we need to build a new medical school and get all the old nursing colleges running at full steam, attract back overseas doctors and create proper retention plans for medical skills. You can argue the issues till the cows come home but when about 10% of the population pay personal income tax and fund the private sector completely, contributing 87% to public sector delivery, any additional personal NHI tax is simply unsustainable.' He predicted that if the proposed compulsory NHI tax on individuals came anywhere close to matching what people were already paying their medical aids, 'some 80%' of 'lower-end' medical aid contributors would opt out of medical schemes. 'You have to ask yourself what that will do to the medical aid industry going forward. Pinching money from the other votes like education, housing and defence means ministers realise that the state coffer pie will diminish. I think that's what's slowing things down. 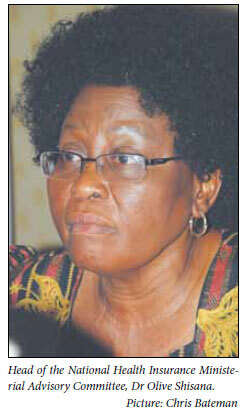 I'm very doubtful that the NHI will take place anytime soon along the lines of the model already publicised,' he said. The other major hurdle the NHI needs to clear is the vexed economic model which proposes an almost 30% reduction in payment for professional health services (based on an assumption that with a huge single central payer and purchaser model their ability to buy cheaply in bulk would make this possible). Archer said they had overlooked the fact that medical aids rates currently ran at about a third of what was required to run a medical practice. Any further tariff reduction would mean doctors emigrating or closing up their practices. 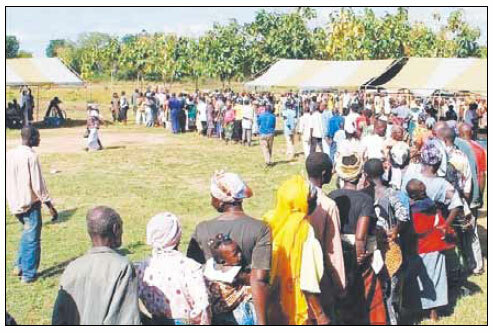 The SAPPF, which claims some 2 000 members, was formed in November 2008 when disgruntled members of the Specialist Private Practice Committee of the South African Medical Association (SAMA), broke away, citing 'under-financing and misrepresentation' which allegedly failed to further their interests. They accused SAMA of being 'a jack of all trades and master of none' and said SAPPF wanted to be 'masters of our own destiny'. Some 5 000 specialists are registered with the Health Professions Council of South Africa (HPCSA), many of them with dual membership of SAMA and SAPPF. Professor Morgan Chetty, a founder member of IPAF and head of the Department of Managed Health Care at the Nelson Mandela School of Medicine at the University of KwaZulu-Natal, Durban, outlined his GP accreditation scheme. While skeptical of the NHI succeeding in its current form ('no country has succeeded in creating an NHI programme with an unemployment rate any bigger than five or six per cent'), he said primary care would be the foundation stone. However the eventual model turned out, government was adamant that it be quality driven and certified and its Office for Standards Compliance (under Dr Carol Marshall) was quite far advanced with operational plans.2,3 To address this reality, IPAF was using the current 'window period' to put in place an accreditation system so its doctors could 'show efficiencies in the environment of care so that patients and themselves are not put at risk'. The Council for Health Service Accrediation of Southern Africa (COHSASA) had agreed to help create a graded system, beginning with a tick list for the first phase. This included some 57 items including resuscitation equipment, autoclaves (separate clean and dirty areas), all the equipment necessary to properly do minor procedures, plus ensuring any dispensary was legitimate, separate procedure and consulting rooms (confidentiality requirements met), and the make and model of equipment items. 'We thought that if doctors get Phase One ready, we'll be one step ahead when NHI accreditation is available,' he said. Doctors were notoriously resistant to voluntary accreditation but might be spurred into action by knowing that whatever form the NHI took, future government accreditation would be required if they wanted to offer their services. Chetty visited Australia, where their Family Practice Association runs a GP accreditation body. 'The idea is to have a repository of all doctors' names and to what level they are accredited. Each GP can tailor their accreditation to what works for them. All we're trying to do is make them better in terms of managing risk and reducing risk to the patient.' He said Discovery Health was already on board and had accredited 80% of their doctors to Phase One. Polmed and MedScheme also wanted to extend accreditation as a quality initiative. He said NHI systems in the USA, UK and Australia insisted doctors be accredited and that they could not 'open shop anywhere they like and earn the same as a doctor who's gone a bit further in creating a safe environment'. Chetty said IPAF was being pro-active and rebutted critics of IPAs who said they were 'just about asking for more money and higher tariffs'. 'We want to come to the party and provide quality of care. If we do that we save on downstream costs and would be entitled to appropriate reimbursement.' He said it was crucial to tailor models to different populations and their needs in urban, periurban and rural environments, adding: 'You cannot have a one-size-fits-all model'. He rejected traditional charges that IPAs turned doctors into cost managers instead of managers of proper and appropriate care, saying some 95% of IPAs' agendas with medical aids was about 'how to improve health care to the patient. You can't focus on costs at the expense of quality and access to care'. He personally screened much of the profiling of doctors and while at face value it seemed that about 80% of them were 'expensive', digging deeper exposed this as untrue. Some five to eight per cent of doctors failed to practise evidence-based clinical medicine and 'that's what I pick up'. Over the past five years the emphasis on cost had 'shifted hugely' to quality of care. He appealed for IPAF and SAMA to work together 'because if we fight, it's happy days for the medical aids - SAMA has the resources. We should work as a single unit with each doing the functions they have the expertise in'. Shisana said she was aware 'that family health teams are supposed to be coming on board. We'll obviously draw on the private sector - that's broadly in line with policy'. SAMA deputy chairperson, Dr Mark Sonderup, said SAMA's exco would be meeting with the Minister and his deputy 'soon, to discuss these and other issues'.